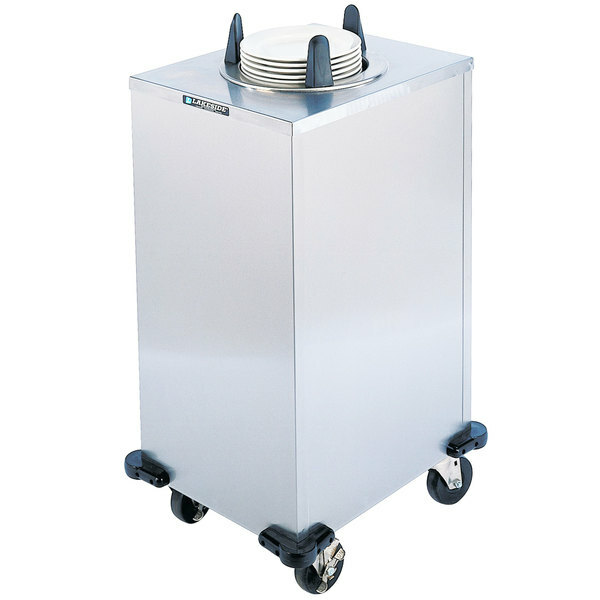 Ideal for mobile buffet lines and transporting your china safely, this Lakeside 6110 stainless steel enclosed one stack heated plate dispenser is a great solution to dispensing plates. 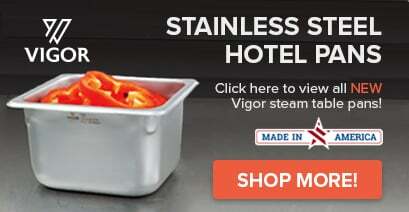 Made of easy-to-clean and easy-to-sanitize stainless steel, this plate dispenser will hold plates 9 1/4" - 10 1/8" in diameter for smooth, clean dispensing. The enclosed base of the cabinet helps to keep your plates protected and free of contamination, while the dispensing height level is easy to adjust in the field without the use of tools! This unit features a thermostatic control to allow for better heat control and a high-end shut-off for safety. Set the temperature between 100 and 175 degrees Fahrenheit to keep your plates at the perfect temperature for serving. At the middle setting, you can expect an average 40 degree Fahrenheit rise in plate temperature within just one hour of the initial heating cycle! The stacking height capacity of this plate dispenser is 25". It requires a 120V, 450W, 3.8 amp electrical connection.